What is the best credit card for airline miles? 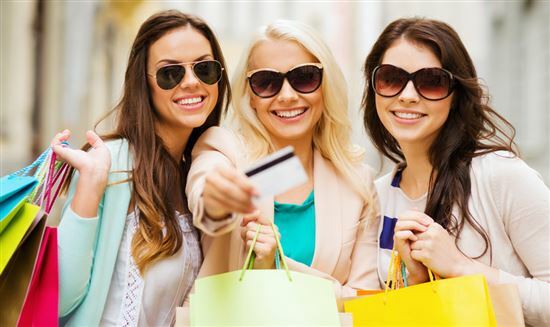 For the most flexibility, our top pick is Chase Sapphire Preferred. It has a sign-up bonus and you can transfer points 1:1 to airline transfer partners including United and Southwest. Want to start earning miles but not sure where to begin? That's totally normal. Airline miles can be an intimidating concept. There're a lot of things to keep track of and rules to learn. Sometimes, it can seem like not even worth the hassle. But if you're not using some sort of travel program to earn miles or points, you're missing out. That's how other people get to go on vacation for free. Many travelers also love using miles to fly in premium cabins that they otherwise couldn't afford. It's never too late to start. We've broken it down as simply as possible. Spend just 15 minutes reading this step-by-step guide and you'll be ready to start earning miles for your own free travel. How Many Airline Miles for a Free Flight? Bonus: Don't have 15 minutes to read this guide right now? No worries. Join our FREE travel course to learn (at your own pace) how to travel the world with points. How to earn enough miles for your next vacation in just 90 days. How to fly for as low as just $5.60 one-way. How to earn thousands of airline miles while doing everyday things like eating out and shopping online. Airline miles are also known as frequent flyer miles. Airlines have loyalty programs to reward repeat customers. The more you fly with them, the more miles you earn. You can later redeem these miles for a free flight or upgrade. Usually, you earn miles based on the flight cost or flight distance. The miles do not represent the amount of physical miles you are able to redeem for. So for example, you may need to earn 25,000 "miles" for a round-trip flight that is 4,000 actual miles. You don't even have to fly at all to earn a ton of airline points! You can do all the normal things you usually do and still earn points for a free flight. So even if you're not traveling often, you can still earn miles for a future vacation. We'll tell you in detail how this is possible. Airlines have their own award charts. Usually, a domestic round-trip flight in Economy requires 25,000 miles. A round-trip flight to Europe costs around 50,000 miles, while to Asia costs around 70,000 miles. Once you have earned enough miles with an airline, you can redeem them for a free flight. This is called an award seat. Award seats have limited availability. On every flight, there are only a certain number of seats allocated for award fares. As flights fill up (or don't fill up), the availability and cost of award seats can fluctuate. When booking an award seat, it is best to check award availability often and be flexible with your dates. Zone based: This is when there's a set number of miles to go from one region to another (like from North America to Europe). It doesn't matter where your starting and end points are. All award fares in a zone cost the same amount of miles. The most expensive fare in the zone is the best value for your miles. For example, for award flights to Hawaii, people who live on the East Coast will get better value, because flights from there are usually more expensive. United and American have zone-based award charts. Most airlines operate on this model. Distance based: This is when the amount of miles required depends on the actual distance between destinations. For example, New York to Europe would require fewer miles than Los Angeles to Europe would. This can be a good value depending on where you live (someone from New York going to London may be better off with a distance-based program than zone-based). This also works well for short haul flights. British Avios, Iberia Avios, and Cathay Pacific Asia Miles use distance based charts. Cost based: This is when the amount of miles needed for an award seat is based on the cost of the flight. In this model, the miles needed would often be more during peak season, holidays, and weekends. Delta, JetBlue and Southwest have cost-based programs. Keep reading to learn more ways to earn airline miles that you might not know about. How much is one air mile worth? In general, we estimate that one air mile is worth between 1.0 - 2.0 cents per mile. This means 10,000 miles can be worth a flight $100 - $200. The value varies depending on the airline, whether you're flying domestic or international, the season, and cabin class. Miles used for premium cabins can be worth over 4.0 cents even. Directly joining the airline's loyalty program and flying with them. If you have a favorite airline you always fly with, you can just join the airline's loyalty program. This is completely free and you don't need any special credit cards. Every time you book a flight with the airline (and participating partners), you earn miles. Some airlines give you one mile per actual mile flown. Some airlines give you 5-6X the miles per dollar spent. If you fly enough with an airline, someday you'll have enough points for a free flight. This is best for those who mostly fly with one particular airline. You will be limited to redeeming your miles for flights only with that airline (and its partners). Earning miles with travel rewards credit cards. This is the fastest way to earn miles. You don't even need to fly. Travel rewards cards give you "miles" for every dollar you spend, so your daily purchases are helping you earn free flights. Plus, many travel reward cards offer generous sign-up bonuses with some being over 50,000 miles. After you have accumulated enough miles, you can redeem them for flights. This method also gives you more flexibility because you're not just limited to one airline. We'll explain more in detail in the next section. Note that you'll usually need excellent credit to qualify for one of these cards. Also, these cards usually come with annual fees. Shopping, dining, and other non-credit card ways: There are other ways to earn airline points without flying or opening credit cards. Airlines and credit card programs have online shopping portals and dining programs that award bonus miles. We will go over all these later. There's no rule saying you can only use one way. You can combine all these methods to collect a lot of points. Buying miles: Are you close to having enough miles to book your reward flight, but you are only a few miles short? One way get those last few miles is to purchase them from the airline. This is usually an expensive method to acquire miles, but it may be worth considering in certain situations. Transferrable credit card miles to airlines (best value). Some credit cards (such as Chase Sapphire Preferred) allow you to transfer your points to the credit card's airline and hotel partners. This gives you flexibility to redeem with different airlines. This also lets you use your points for the most value, if you are willing to do some simple research. If you don't want to transfer points, you can also use them to book travel on the credit card company's travel portal. For quick reference: Chase's travel partners include United and Southwest; AMEX's travel partners include Delta, JetBlue, and Hawaiian. General travel reward credit cards (best flexibility). With these cards (such as Capital One Venture), you earn points on all purchases and apply them as statement credit for travel-related expenses. This is great if you're looking for something simple. You don't have to worry about seat availability or blackout dates. These cards are also good for those who travel, but may not necessarily fly. Because you can redeem for purchases such as hotels, car rentals, and cruises. Another advantage is that you can start redeeming points at a much lower amount. You can basically choose to "erase" $100 worth of travel purchases if you want. With transferrable miles, you usually have to wait until you have enough miles to redeem a particular award. Airline co-branded credit cards (best perks). A third type of travel card is an airline co-branded card (like JetBlue). You still earn miles on all purchases, but you can only redeem them on that particular airline and its partners. But you often get airline-specific perks, such as free checked bags and priority boarding. These cards are better for those who often fly with a certain airline. Why not just get cash back? You may be wondering why even bother collecting airline miles if you can just get cash back with a credit card. Cash back is always a fixed value. But if you transfer points to an airline partner, you can get a lot more value. For example, 50,000 points with a cash back card will typically equal $500. But with the right travel credit card, 50,000 points can get you two round-trip tickets from Los Angeles to Hawaii, which can be as much as $800 per ticket during peak season. So exactly how many miles do you need for a free flight? Note: the numbers are approximate to give you a rough idea only. The best award strategy will depend on your destination and which airlines (and their partners) service that route. For example, Southwest's point system is directly based on how much the fare costs. So, if you live in Florida and want to go to the Bahamas, you can go for a little as 4,320 points (one-way). In that case, it wouldn't make sense for you to transfer to another program. However, if you live in California and want to take a Caribbean vacation, you may want to use 15,000 miles with Air France or American Airlines. In general, distance-based and fare-based awards are better for short distance travel. Zone-based awards are better for long distance. Booking premium cabins: Many travelers love using miles to book business class or first class flights that they otherwise couldn't afford. These cabins offer amazing redemption value. For example, on United you can go from the continental U.S. to Europe for 57,500 points one-way in business class. The fare could cost as much as $4,000. For the ultimate example: The Singapore to Los Angeles (via Tokyo) route in the luxurious Singapore Airlines A380 First Class Suite. This is 18 hours of airtime in the first double bed in the sky. It can cost up to $8,000 but only 91,375 points. This makes each point worth 8.75 cents. Now that you understand a little about what airline miles are and how they work, let's go into detail on how to earn and use rewards. Credit cards are the fastest way to save on travel, but they do come with a caveat. If you have trouble paying your credit card balance off every month, you're better off focusing on paying off debt. You don't want to rack up credit card debt by going overboard with rewards programs. Travel reward cards tend to have high interest. Interest charges can wipe out any benefit that you gain from the rewards. Ideally, these programs are for people with good or excellent credit who pay off their balances each month. First you need to figure out what kind of traveler you are. Figure out how often do you fly in a year and why. Are you an occasional vacationer, or do you travel often for a mix of business and pleasure? Figure out what you're comfortable with. Do you just want a card that's easy to use, or do you want to do some research to get the max value? Are you okay with flexible plans and letting award seat availability determine your travel dates, or you want to be able to book flights on your terms? Think about your goals. Do you have a specific holiday in mind (like going to Germany for Oktoberfest), or you just want to go on a tropical vacation at some point in the next year? Consider which airlines take you to your preferred destination if there are blackout dates around your trip. Keep in mind that the earlier you book, the easier it is to find award seats. So, it's best to have plans about a year in advance. Also, check award sites often as availability changes over time. Loyalty programs are free to join. Sign up with the airlines that you think you'll actually use. 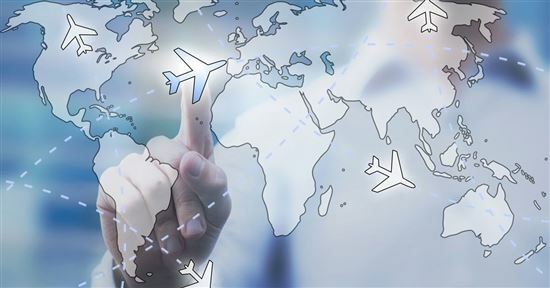 Look at your closest airports and check out your best airline options. Ideally, the ones you choose will be part of a travel alliance that can give you access to a bunch of airlines. For example, when you sign up for United's MileagePlus, you'll be part of the Star Alliance family. You'll be able to get partner flights on any Star Alliance airline. Let's say you plan to visit New Zealand. You'll be able to book award flights with Air New Zealand. If you've already flown this year, there's a chance you can still get credit for these flights. Some airlines have a grace period, but it differs from airline to airline. (AMEX MR): American Express Membership Rewards (Amex MR) points can be transferred to over a dozen frequent travel programs, including popular carriers like Delta and JetBlue, or hotel chains like Hilton and Best Western. (Chase UR): With Chase Sapphire Preferred, you can transfer Chase Ultimate Rewards (Chase UR) points to participating frequent flyer programs at full 1:1 value (1,000 Chase UR points = 1,000 partner miles/points). Travel programs include United MileagePlus®, Southwest Airlines Rapid Rewards®, JetBlue TrueBlue, British Airways Executive Club, Virgin Atlantic Flying Club, Singapore Airlines KrisFlyer, World of Hyatt, Marriott Rewards®, IHG Rewards Club®, and Ritz-Carlton Rewards®. Applying for a travel rewards card is the fastest way to earn airline miles. But with the dozens of options, how do you decide which is best for you? If you frequently fly with one airline (such as Delta or American Airlines), you will benefit from an airline co-branded credit card. You'll receive special perks such as free checked luggage and priority boarding. If you like choices and getting the maximum value, then go for a transferable rewards card (like Chase Sapphire Preferred) that allows you to transfer points to multiple airline and hotel partners. You just need to be willing to do some research to find the best transfer strategies. If you value flexibility and simplicity, you'll like the ease of general travel rewards cards (like Capital One Venture). You simply redeem points later for statement credits against recent travel purchases. You don't have to worry about searching for award seats. If you don't fly often, there are some travel reward cards with no annual fee. BankAmericard Travel Rewards and Discover It Miles both have no annual fee and give you 1.5X miles on all purchases. You can then use the points as statement credit towards travel expenses. Tip: Truly savvy travelers apply for more than one travel credit card to get the maximum rewards possible. For example, some have a card to transfer miles to different airlines, and also use a general travel rewards card toward hotel night stays. We recommend starting out with one and get used to seeing how the system works. If you decide to apply for more, be aware that multiple credit inquiries can affect your credit score. You'll want to be especially careful if you are about to apply for a loan around the same time. Restrictions: Are there blackout dates or peak periods when points cannot be applied towards air travel? Point values: Are the point values consistent throughout the system, or do they vary by destination and travel dates? Expiration: Will you lose the points if you don't use them within a certain timeframe? Limited seating availability: Is there limited seating for those booking an award seat? Cancellation policy: If you cancel a flight, do you forfeit the points or are they credited back? Perks: What additional perks are there, such as lounge entry, pre-boarding, waived baggage fees or complimentary beverages? Annual fee: How much is the annual fee? Will you earn enough rewards to justify the fee? Redemption options: Are you limited to using your points towards airfare, or can airline miles be redeemed for cash back and gift cards? 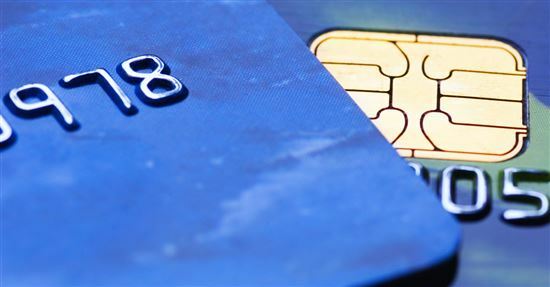 Most travel rewards cards offer huge bonuses. For example, Chase Sapphire Preferred lets you earn 60,000 bonus points after you spend $4,000 on purchases in the first 3 months from account opening. That's $750 toward travel when you redeem through Chase Ultimate Rewards®. This card lets you earn 2X points on travel and dining at restaurants & 1 point per dollar spent on all other purchases worldwide. However, this is not an excuse to go on a spending spree just to earn the points. The trick is to cover existing expenses, not to create new ones. Put costs like mortgage, utilities, groceries and gas on the card. You can even get ahead on your holiday shopping or do a home repair. There are lots of smart ways to meet the minimum spend. Travel reward cards give you points on all purchases. So, you'll be able to rack up points faster by using it as your primary card. Remember to pay the card off as soon as possible. Travel reward cards tend to have high interest rates, so you don't want to carry a balance. Interest charges can offset any travel rewards that you receive. Tip: You generally need excellent credit to quality for travel reward cards. If your application is denied, then you'll probably need to build up your credit before trying for another rewards card. Online shopping portals are a great way to earn points without flying. A lot of airline or travel cards have an online shopping portal where you can earn bonus points at partner merchants. All you have to do is shop through the online shopping portal (versus going straight to their homepage or shopping in a physical store). The deals on these portals change frequently, so check them often. Before buying anything, always check your card's (or airline's) shopping portal to see if your store (or a similar one) is on it. For example, one of Chase's shopping partners is RiteAid, who offers extra points per dollar for Ultimate Reward members. So if you need stuff from the drugstore, why not shop at RiteAid online through Chase and earn even more for what you were already going to buy? Tip: If you've joined more than one airline or credit card program, the portals may offer different bonuses for the same retailer. See which one offers a bigger bonus. A lot of airlines have a dining program that gives you points for eating at participating restaurants. You simply join their dining program with your frequent flyer number and register a credit card. Then when you eat at one of the restaurants, just pay with your credit card on the account and you'll earn miles. See which restaurants are participating in your program. It's a great chance to try out new restaurants. Tip: Some credit cards also offer bonus points for dining purchases, so it's best to register with a card that will give you the most rewards and compare credit cards with restaurant rewards. Read 23 ways to earn airline miles without flying. Keep in mind: When you earn miles through any of these methods, you can ONLY use them for that specific airline (or their partners). So, make sure it is an airline you will actually fly with, or else the points will be useless. Once you've accumulated a decent amount of miles (either directly through the airline's loyalty program or through a credit card), you'll want to use them. Cashing in those miles is where beginners tend to get stuck. It just requires some homework. Be flexible: Award seats have limited availability and sell out fast. Your ideal travel date may not work, but there could be something available a few days before or after. Also, you may have to be willing to make a stop or fly with a partner airline. Plan ahead: If you're planning a year in advance, you'll likely find available award seats. If you don't find seats, remember that award seats continuously get released based on flight demand and one could always pop up later. If you start planning early, you can afford to wait and continuously check for availability. Travel with less people: It is also easier to book an award flight if you're traveling solo or with just one other person. Finding four award seats on the same flight can be very difficult, but you might be able to book two award seats and pay regular price for the other two. How can you redeem your miles? Head to your airline's site and enter in your membership number. Search for your flight. You will see a list of options, how many miles they'll cost, and whether they're available or not. If you prefer for an agent to search dates and book the flight for you, you can call the airline (but note that many airlines charge a small fee for this). 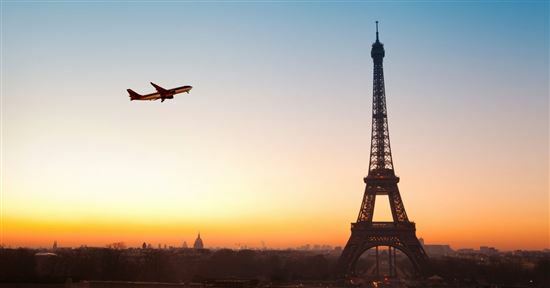 Tip: Some airlines offer reward fares through their alliance partners that are not shown on their sites. It takes some additional time to research and understand these, but they can be very lucrative. To book these rewards fares, call the airline and they will be able to help you book the fare over the phone (some fees may apply). Keep in mind: You may still have to pay taxes and fees on the award flight, so it's not completely free. Some airlines also tack on heavy fuel surcharges, especially when flying internationally. Sometimes the surcharge can be so much that it negates the purpose of a "free" award flight. We like United Airlines because it never imposes a fuel surcharge on award flights (though the award chart may be a bit more expensive than others). Tip: Cost-based awards like Southwest and JetBlue have no restrictions. You just use your miles instead of cash to book the flight. The easiest way to keep earning miles? Just keep using your credit card. Don't shop in a store if you can use an online portal that will give you more back in rewards. 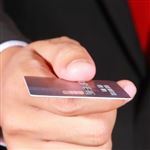 If a large purchase comes up, use your card for it but be sure you can pay off the balance as soon as you get the bill. Don't forget to dine with your airline's restaurant partners. It's fun to discover new restaurants while earning miles. The most important thing is to stay organized, especially if you have more than one reward card and have joined a few loyalty programs. Don't apply to more than one card at the same time unless you can meet the combined minimum spending requirements AND pay them off. If you have transferable credit card miles, don't transfer them until you're ready to use them. While credit card miles usually never expire (as long as your account is active and in good standing), miles can expire once you have transferred them into a loyalty program. Keep track of all your loyalty programs and miles expiration dates. Most airline miles expire if the account has been dormant for a certain amount of time. If it takes you a while to accumulate enough points for a free flight, makes sure you know what it takes to keep the account active. Some programs only require a certain kind of activity, like a shopping portal purchase. But for some programs, you actually need to take a qualifying flight. Sign up for your favorite airlines' loyalty programs. They're free. Apply for travel reward cards. You get big sign-up bonuses and earn miles on everyday spending. Meet the minimum spending requirements in a responsible way. Continue to use the reward credit cards and pay them off each month. Use shopping portals and dining programs to earn even more miles. Plan ahead (like a year in advance) for best chances of getting award seats. Be flexible with your travel dates. Check reward booking sites often as availability can change. Keep your credit cards and miles organized. This guide is intended to help you get started with airline miles. How deep far you want to take this depends on how much time and energy you're willing to spend. But for most people, a basic points strategy will be plenty to get that free trip you've always wanted. Disclaimer: The information for the Capital One® Venture® Rewards Credit Card, Discover it® Miles, and Bank of America® Travel Rewards credit card has been collected independently by CreditDonkey. The card details on this page have not been reviewed or provided by the card issuer. Leave a comment about Beginner's Guide to Airline Miles and Points?